Before we close out the month of July, two more reviews are coming. The first of which is for Mighty No. 9, a game which has a development story that I would pay to read about because of how many controversies plagued it. Regardless, the game ended up being rather fun overall. Check out the SuperPhillip Central opinion with my in-depth review. One of the most infamous Kickstarter projects started out so innocently and with a lot of hope. Keiji Inafune, one of main minds behind the Mega Man franchise of old, put a lot of passion behind a Mega Man-like game called Mighty No. 9. With a beautiful piece of concept art, fans quickly backed the project, contributing more than four million dollars total. Following this was a lot of controversy, from Inafune asking for even more money, multiple delays, the launch of a second Kickstarter before Mighty No. 9 even released, and community manager mishaps. While the final product of Mighty No. 9 is hardly what I'd say awful, for a four million dollar Kickstarter-backed game, most of us can easily expect more from this project. The story of Mighty No. 9 follows Beck, the ninth robot of a unit of warriors known as the Mighty Numbers. When an unknown virus infects numerous machines as well as the other Mighty Numbers, the unaffected Beck must combat against the threat by taking down each corrupted Mighty Number and discover the reason for the virus breakout. 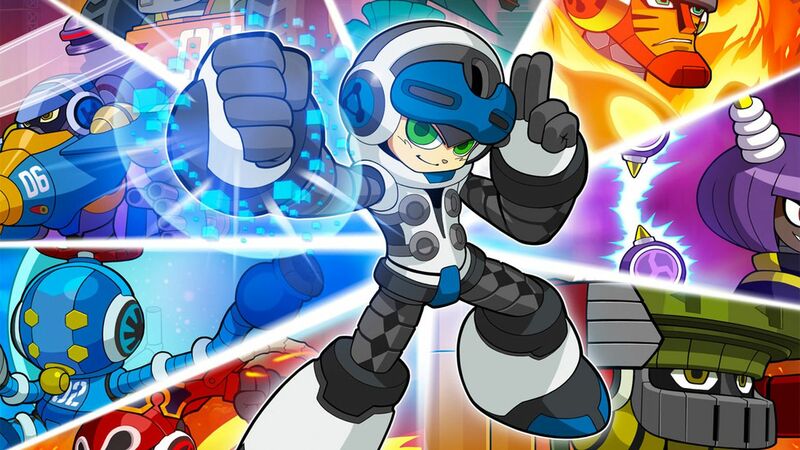 Being a game created by former Mega Man mastermind Keiji Inafune, it only makes sense that Mighty No. 9 would take a lot of concepts and mechanics from his past works. This is seen throughout the gameplay, where you control Beck as he shoots, runs, jumps, and dashes through one of a dozen or so side-scrolling platforming levels. 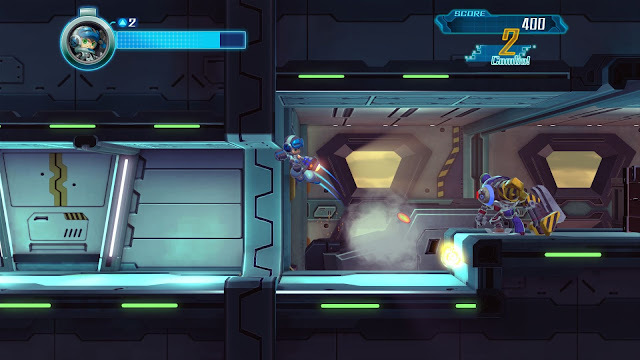 The levels don't have as much in the way of secrets, as they're linear just like many of the classic Mega Man series games. 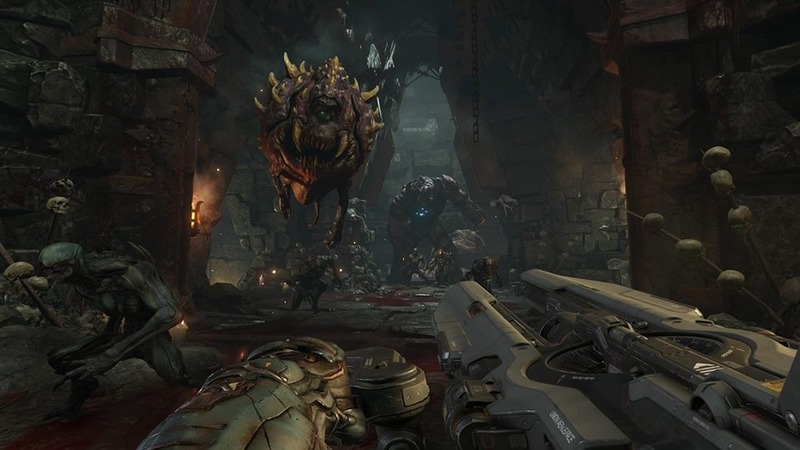 However, many levels do reward points for completing certain challenges, such as getting a Sprinter bonus for moving quickly through a specific area of a level, or a Quick Clear bonus for taking out a room full of enemies with swift timing. 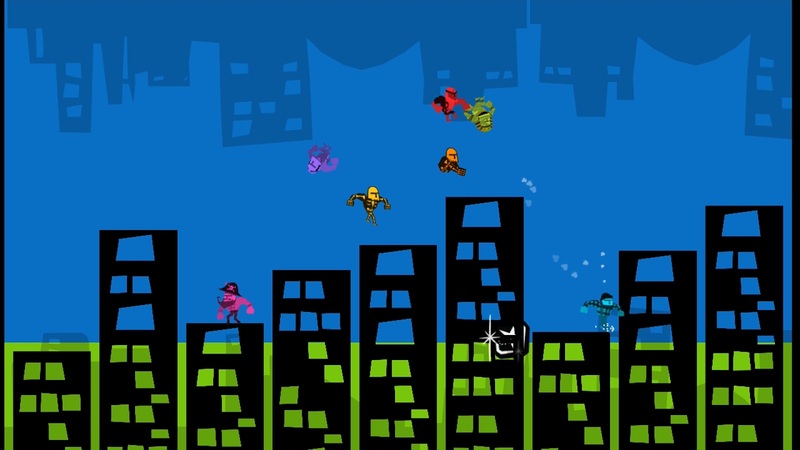 Take out all of these foes within a fast enough amount of time to receive a Quick Clear bonus. 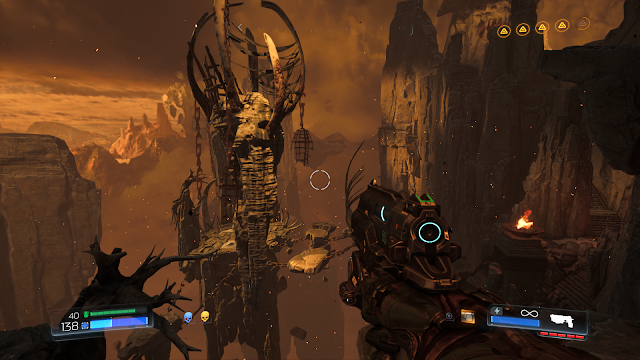 The majority of levels are decently designed, though there are numerous instances of bad design here and there. 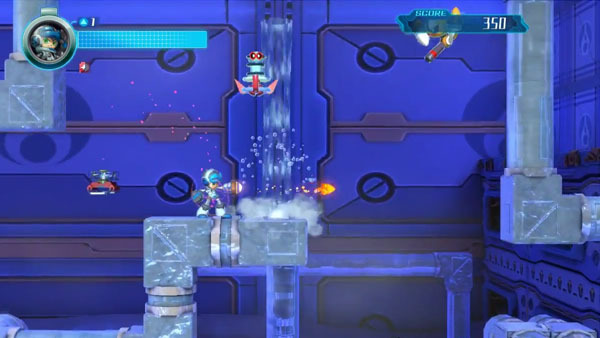 One level has a place where you are required to carefully floor dash underneath two purple spinning turbines. The timing here is so strict that failing to perform floor dashes with the correct precision results in immediate death. In another level, the goal is to pursue a far off sniper. Coming into contact with him results in the Mighty Number retreating to another area. This game of cat and mouse goes on for a ridiculously long time, and the fact that death results in you being forced to start the level from the beginning makes for a needlessly tedious time. However, when Mighty No. 9's levels do shine, it's a lot of fun. I particularly enjoyed a level where Beck is moving across the tops of vehicles in a fast-paced highway level, though the frame-rate isn't always the smoothest, slightly diminishing some of the enjoyment I had. Another level has Beck scaling a radio tower to reach a Mighty Number to battle. The vertical nature of the level and the fierce winds make it one of the most interesting in Mighty No. 9. 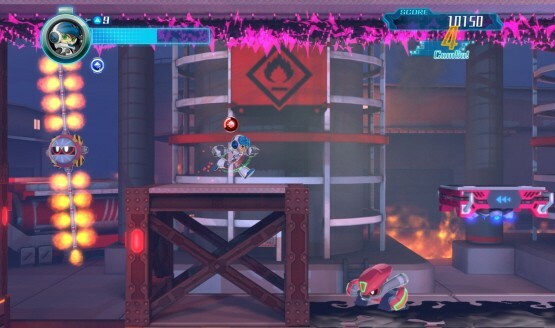 The highway is one of the more interesting levels featured in Mighty No. 9. Mighty No. 9 adds to the Mega Man formula with a dash mechanic that is put to use on weakened enemies. 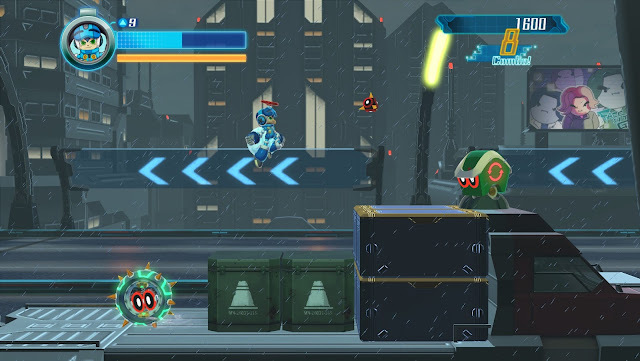 When a foe has been pelted with enough of Beck's bullets, they enter a weakened state where Beck can then dash into them, defeating them while gaining points. Depending on how fast Beck dashes into a baddie after they've been weakened, the enemy gives him a boost as well as the player a specific percentage. Keeping a combo going by dashing into weakened enemies while getting 100%'s is a lot of fun and is the main way of earning high scores in levels. 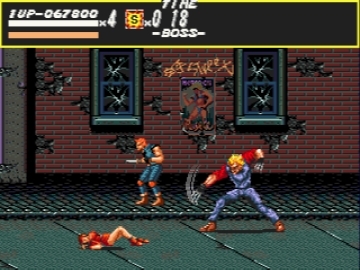 This even goes into boss battles, where giving one of the Mighty Numbers enough damage will present them with a weakened state, allowing Beck to dash into them to not only deal permanent damage to their life bar, but also allow Beck to continue his combo, pending he's fast enough to dash into them when a boss has become weak. 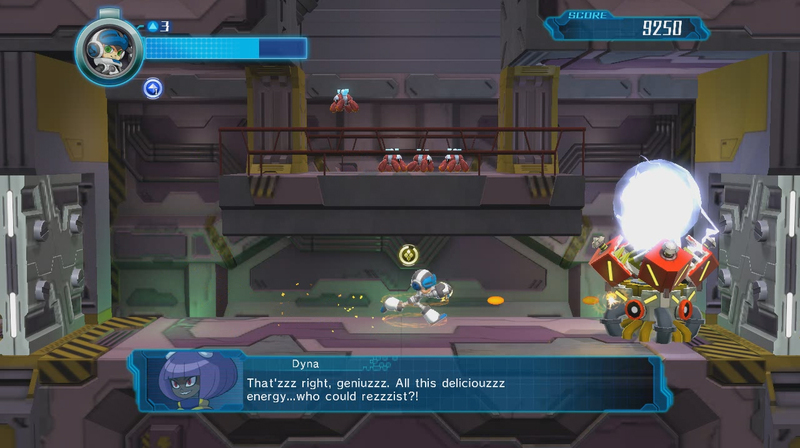 The true enemy of Cryogen's level is that of the ice puns that will leave you out in the cold. Speaking of the boss battles, Mighty No. 9 shines in this aspect, creating battles that are both memorable and challenging for the most part. Just like with normal enemies throughout the game, the Mighty Number bosses as well as other stronger enemies can be weakened when enough damage has been dished out to them. However, bosses will regain the health Beck just gave them if he doesn't dash into them while they're weakened within a relatively small window of time. Usually bosses add a more powerful attack and change to their patterns when their health has been lessened to about halfway, making these fights quite dynamic and quite fun. Continuing to borrow from ideas from the Mega Man franchise, defeated Mighty Numbers give Beck their signature special weapon that he can use in levels and against other bosses to make for an easier time of things. While it's not as enjoyable as the Mega Man series to figure out which Mighty Number weapon works best against which boss, as the effects aren't nearly as drastic against a boss's health, it's still pretty fun all the same. Alongside the main campaign, you can unlock new challenge missions for either solo or cooperative play. These missions have you doing everything from getting to the goal with various caveats such as one that has you being unable to use your dash or attack abilities, destroying all the targets as a particular character within the time limit, and the hardest of the hard challenges, playing through all of Mighty No. 9's stages without dying. Yeah, I don't think I'll be getting to that one any time soon! In addition to the challenge missions, once you initially beat Mighty No. 9, you unlock a boss rush, pitting you against all of the Mighty Numbers in succession. The feel of controlling Beck is one of the highlights of Mighty No. 9 that the development team got right. Mighty No. 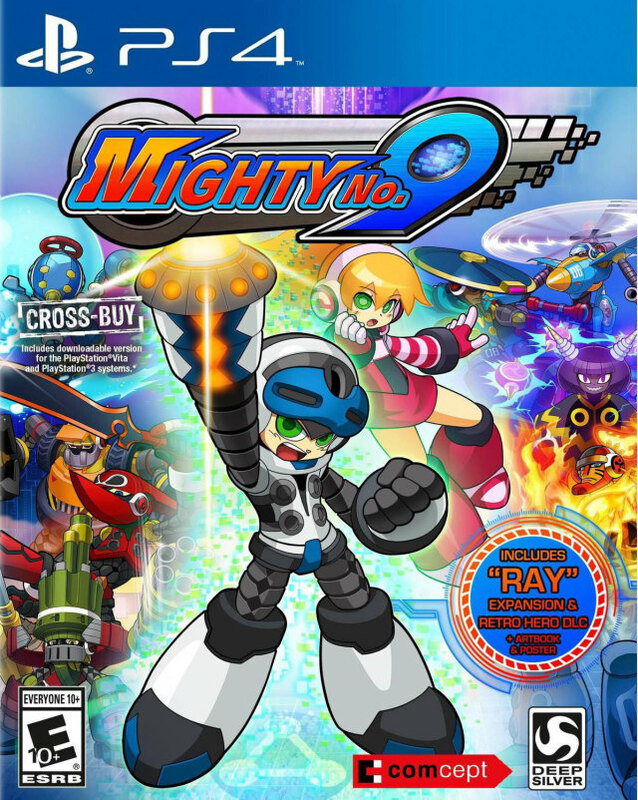 9's budget certainly didn't go to its presentation... or if it did, then Inafune and his team certainly botched it considerably. 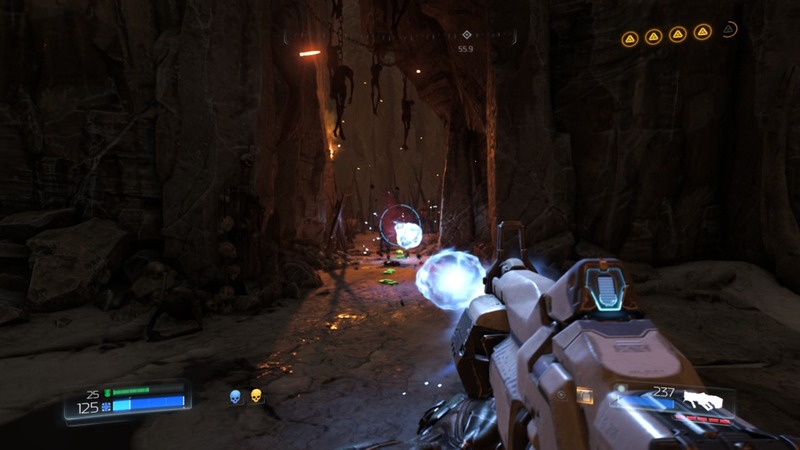 The environments are sterile, bland, and mostly lacking personality. The characters in story sequences pantomime to one another, never moving their mouths, and talk so slowly that it's difficult to stay interested in the story, even with a vested interest like I started out with. 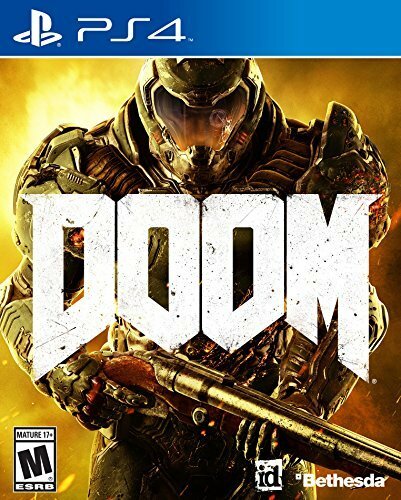 The frame-rate also leaves something to be desired, sometimes sinking to embarrassing levels in more action-oriented sections of the game. Watch out for those pink spikes. They will end your run if Beck even so much makes contact with them. On the sound front, part of the Kickstarter budget went towards hiring voice actors to deliver the game's lines. The voice acting is generally very dull at best and incredibly grating at worst, especially Mighty No. 2, Cryogen's high pitched voice and ice puns that would give Arnold Schwarzenegger's Mister Freeze a headache. Musically, what is featured is hard to hear thanks to the repeated lines of dialogue that is featured in each level. Sometimes the dialogue boxes actually detract from the experience as they can cover up hazards in levels such as one-touch-and-Beck-is-dead floor spikes. All in all, Mighty No. 9 isn't an absolutely horrid experience by any stretch of the imagination. It's, dare I say, a good deal of fun. However, some design decisions especially in some levels, dull environments, and unappealing voice acting make for a game that is good but not great. In total, Mighty No. 9 is an average platformer, but considering the game somehow took four million dollars to create, "average" is simply not good enough. I enjoyed Trine: Enchanted Edition so much on the Wii U that I couldn't help but jump on the game again when it was on sale this past month during a PSN Flash Sale. Now, the PlayStation 4 version gets due coverage with this in-depth SuperPhillip Central review. 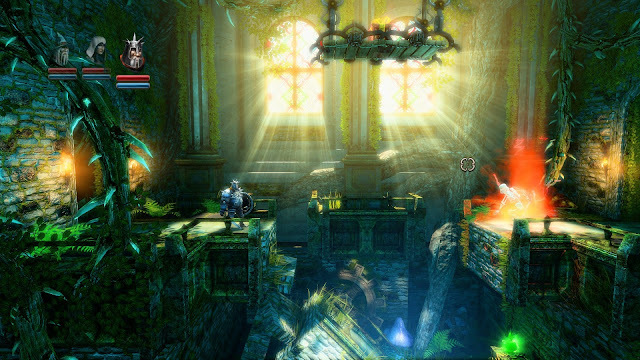 The original Trine released in 2008. Its sequel, Trine 2, released several years later. 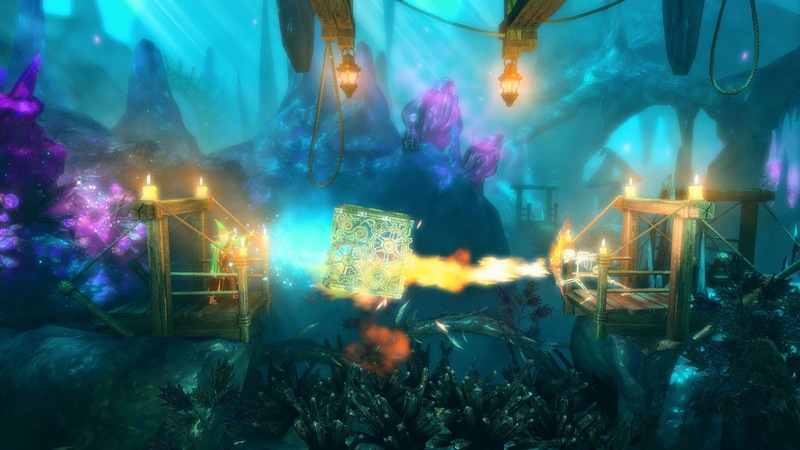 As 2014 arrived, Frozenbyte, the developer behind the Trine series, released Trine: Enhanced Edition, a remodeled version of the original Trine, given Trine 2's graphical upgrades. What you get with this edition is an magnificently fun puzzle-platformer that doesn't outwear its welcome. The fun comes from having three characters to play as, being able to freely switch between them at any time. This proves necessary as each of the three protagonists of Trine have their own special abilities that only they can use. The knight is great for brute force situations, the thief can pick off faraway targets with her arrows as well as swing across chasms, and the wizard can conjure up magical boxes and planks to help reach new areas and cross otherwise impossible chasms. from platforms to shields against enemies. Trine: Enchanted Edition sports fifteen story levels, each taking the trio of heroes across many a unique locale, from thorny forests to dark crypts and dingy dungeons to sparkling caverns. Each level contains a set number of experience bottles sprinkled throughout in both (well) hidden locations and in plain sight. 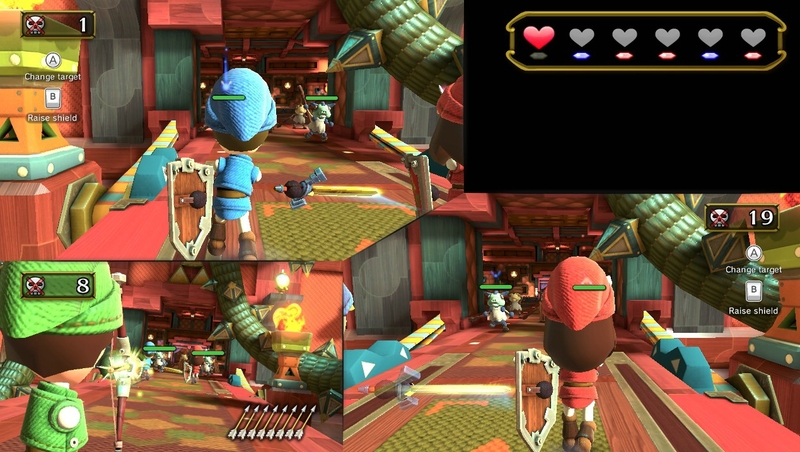 Experience points can be used to upgrade abilities, such as giving the wizard the privilege of being able to have two summoned boxes be on the screen at once, or giving the thief a quicker charge up time for her to shoot arrows. Pontius the Knight is perfect for most close combat situations. Experience is also recovered occasionally from fallen enemies. The combat of Trine itself is one of the weakest parts of the game, oftentimes having you flail around while mashing the attack button as the knight to deal damage to foes. It doesn't take any thought to do, and it feels fine at best and clumsy at worst. 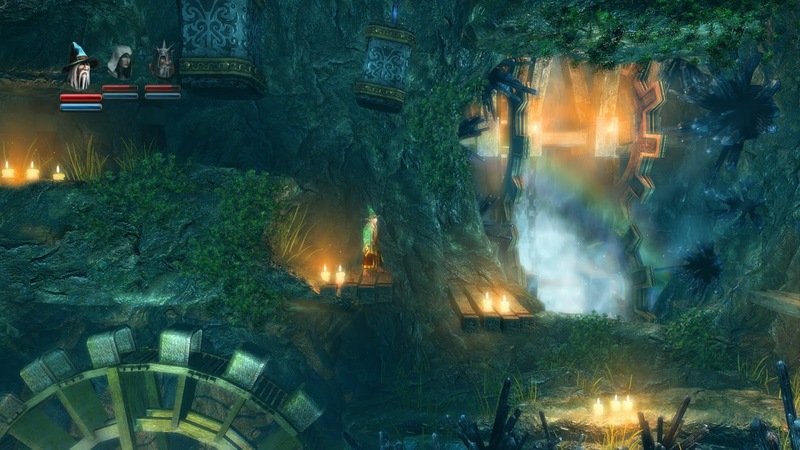 Generally, what makes up most of Trine's levels are various traversal-based challenges. It's all about surveying the environment and coming up with a way to reach your destination. Trine's levels are so captivating because of the fact that you can take many of the challenges that the game presents to you and take them on in more than one way. Paths that can be crossed by placing planks and boxes down by the wizard can also be crossed by swinging across the way with well timed swings of the thief. After a day of summoning magical boxes and planks, a wizard needs some time to himself. Being a physics-based puzzle game of sorts, Trine has you interacting with the environment in a grand variety of ways. With the thief, you can flip light platforms over by striking them with a shot of her arrows. With the wizard, you can grab onto a wide assortment of objects and platforms and levitate them to create a way for you to cross a chasm or reach a higher platform. The greatest test of your patience will not be with the physics of Trine, which work wonderfully, but instead the floaty jumping your characters perform. I previously reviewed the Wii U version of Trine: Enchanted Edition, and the ability as the wizard to summon magical boxes and planks into play by drawing shapes on the GamePad screen was a godsend. The PlayStation 4 version gives you the ability to draw shapes with the PS4 DualShock's touch pad, but also just concocting shapes with the analog stick is just as easy. You don't have to be perfectly precise, as I found that as long as you make a shape that resembles a square to summon a box such as a circle, the box would appear. Not mentioned in the review text, but multiplayer is also available in Trine: Enchanted Edition. I gushed over the visuals of Trine: Enchanted Edition on the Wii U, and the game looks even better with the PS4 hardware powering it. Using the same visual style as Trine 2, delivering super impressive lighting, jaw-dropping detail, and other notable effects, Trine: Enchanted Edition is a treat for the eyes, one that will glaze your eyes over with its visual awesomeness. The saturated look of the game can result in sometimes it being hard to make note of where you need to go or where a certain collectable is, but overall, the visuals are absolutely lovely. 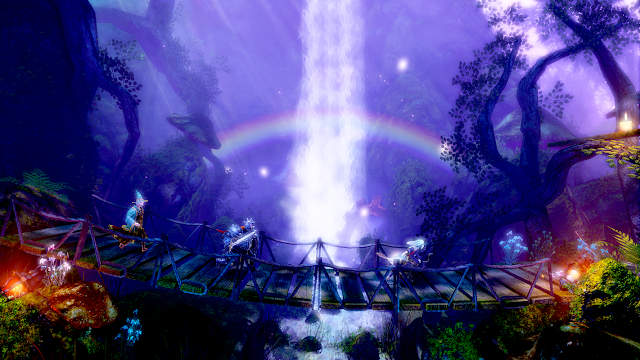 Trine: Enhanced Edition is a remarkable puzzle-platformer which has exquisite level design and marvelous visuals. What it lacks in tight platforming and polished combat, it more than makes up for in giving players a constant stream of clever puzzles and obstacles. It's another success story from Frozenbyte that makes me very much want to play the third game in the series that I've yet to trine... er, try. With the focus of Nintendo and a lot of gamers on the NX, SuperPhillip Central would be remiss if it didn't look back on Nintendo's current system that is now in its twilight years. Despite lacking sales, Nintendo's Wii U certainly did not lack appealing games. However, as we've seen, appealing games isn't enough to sell a console nowadays. Regardless, Nintendo's failed console was one of the last bastions for couch multiplayer gaming. 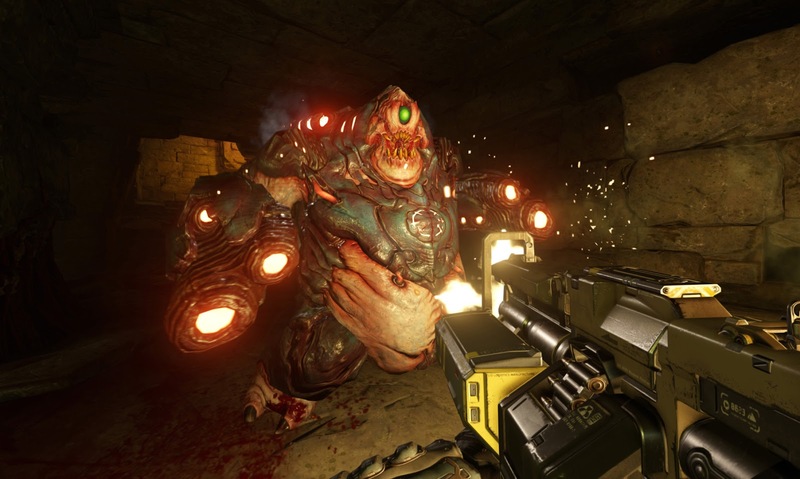 The system was an embarrassment of riches in the multiplayer scene, both online and off. 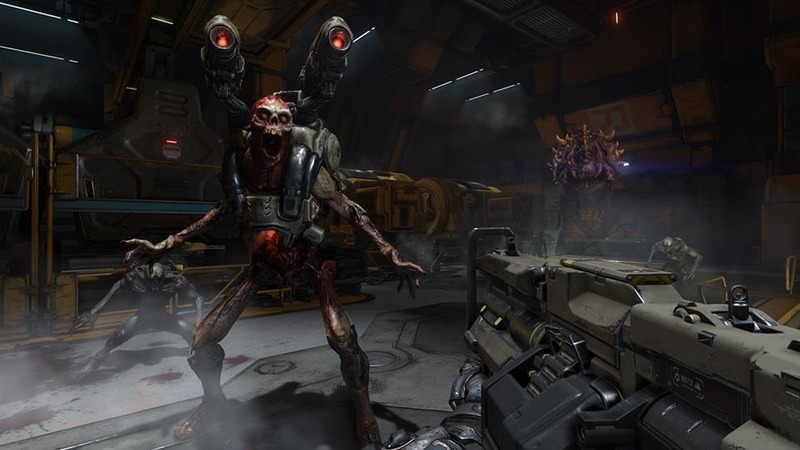 Today's top ten list delves into just some of these impressive multiplayer titles that are best played together than alone. After you've read the SuperPhillip Central list, what multiplayer titles on the Wii U were your favorites? Our first game on this top ten list of the best multiplayer Wii U games gives us a concept that seemed like a no-brainer, yet we only got it this year in the west. I'm referring, of course, about a Pokemon fighting game. 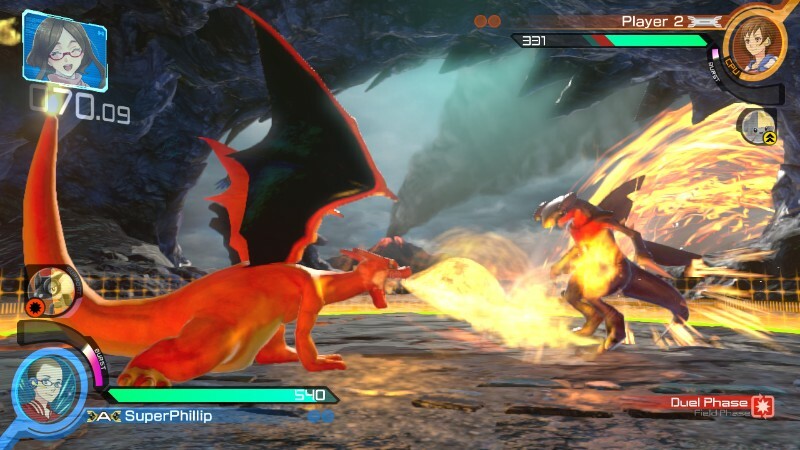 That is exactly what you get with Pokken Tournament, a fast and frenetic 3D fighter from the makers of Tekken. The game features a motley crew of Pokemon of various fighting styles, sizes, and Pokemon types to create a great roster of fighters. Other Pokemon are represented as assists, being able to be called in mid-match to help turn the tide of battle. 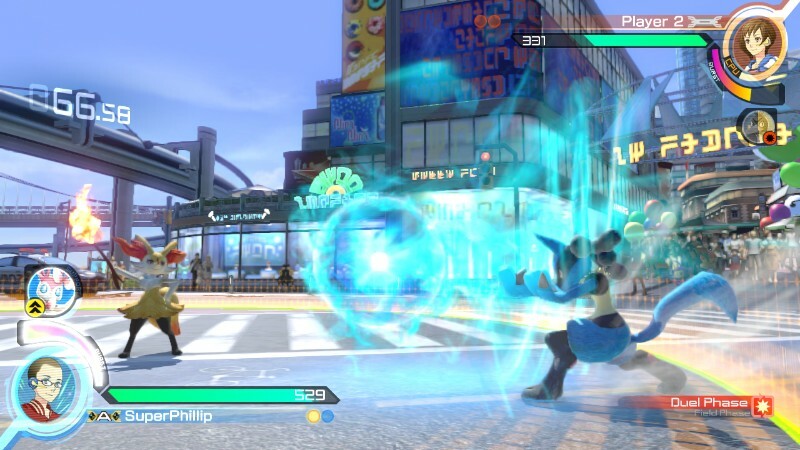 Whether online (which performs really well with minimal lag, which is obviously important for a precision and timing-based fighter) or off, Pokken Tournament delivers engaging action and entertaining fights no matter your skill level. I wouldn't have guessed that the Mii-focused Wii Party U would out-party the Wii U version of a Mario Party, but it honestly did. With a myriad of modes like an island treasure hunt, a clothes-shopping adventure around the city, or a race to the goal across a multi-mile long highway where multiple dice are used, Wii Party U brought the party many a time at the Stortzum household. 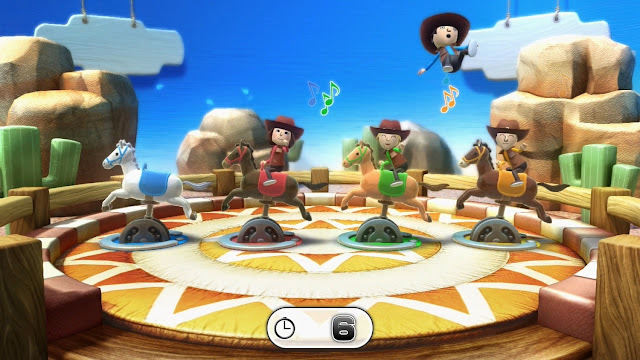 The mini-games used the Wii Remote well, whether it was trying to stay on a bucking bronco, trying to pop the balloons on the opposing players' helmets with a giant mallet, or trying to perform the perfect pole vault. The added GamePad-centric modes such as the table top games included, such as the marvelously fun baseball meant that two friends could have an intimate gameplay experience together. Wii Party U featured so many modes and mini-games that it was a fantastic party package all in all. One of the two launch titles on the Wii U that are featured on this list, New Super Mario Bros. U and its downloadable content (also in retail form) New Super Luigi U brought the multiplayer mayhem that originated in New Super Mario Bros. Wii, and added the ability for a player to use the Wii U GamePad to summon temporary platforms for the other players. This could be a blessing or a curse depending on how mischievous the player adding platforms was. Nothing like blocking a player's jump over a bottomless pit by putting a bunch of platforms in their way! 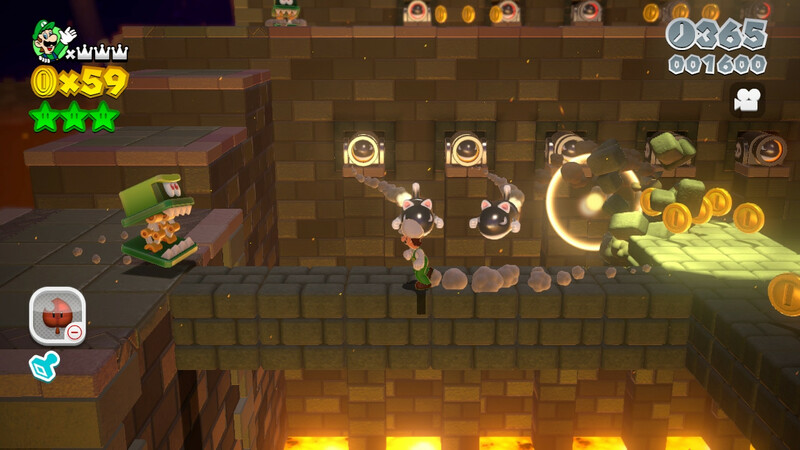 Even without the GamePad player, up to four players running and jumping through the duo of games' masterfully designed levels was a blast and made for a much different experience than just playing either New Super Mario Bros. U or New Super Luigi U alone. 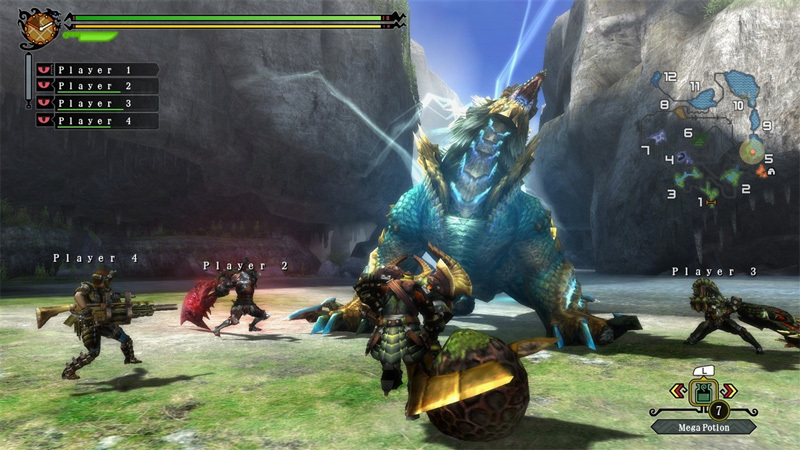 While also releasing on the Nintendo 3DS, the Wii U version of Monster Hunter 3 Ultimate was the only one with online multiplayer, allowing a crew of up to four players to hunt a monster together. 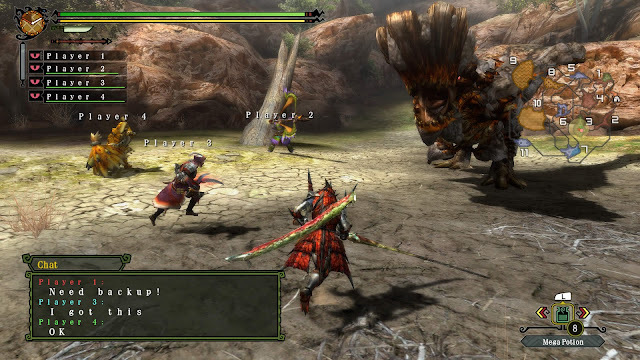 However, if you owned both versions of the game, you could transport your hunter between versions, so essentially you could play on the go when needed and at home for some online monster hunting action. Being able to set up hunts with both friends and strangers, engage in battles with behemoth beasts, and team up to overcome the odds were all incredibly fun. It made each hunt take much less time as multiple people were taking on a monster at once, and made it so the odds were more in your favor. Monster Hunter 3 Ultimate still has a dedicated community to it, even though both Monster Hunter 4 Ultimate and now Monster Hunter Generations on the 3DS have taken many players away from this Wii U game. The sole indie game on this list of multiplayer Wii U titles (though don't get the impression that the Wii U was lacking in engaging multiplayer indie games), Runbow focused on multiplayer platforming which had a goal of having players be the first to reach and collect a trophy. This is all the while running, jumping, and defeating enemies while the level background constantly changed in a cavalcade of colors. This color-changing mechanic in levels meant that some obstacles and platforms in the foreground would appear and disappear based on the color of the background. Thus, careful attention and timing were necessary to win. Up to nine players could play at once, pending enough Wii Remotes and Wii Classic Controllers or Nunchuks were available. 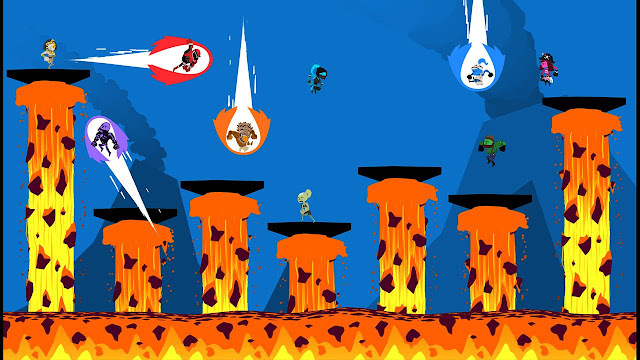 Runbow will be receiving a retail version this fall for both the Wii and the New Nintendo 3DS, so if you've slept on Runbow now, you should definitely wake up and jump on the retail version when it releases. 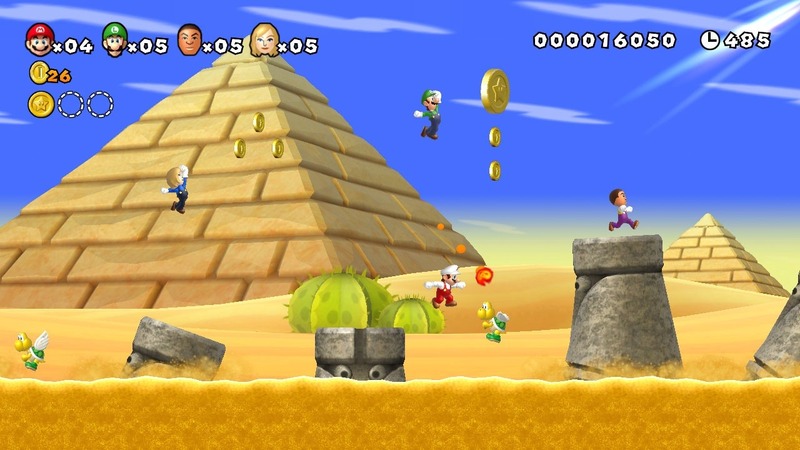 The New Super Mario Bros. series as of the Wii iteration introduced multiplayer to the 2D line of Mario games. Super Mario 3D World finally brought multiplayer to the 3D games with fantastic results. Of course, the game could be played solo, and it was a pleasure to play that way. 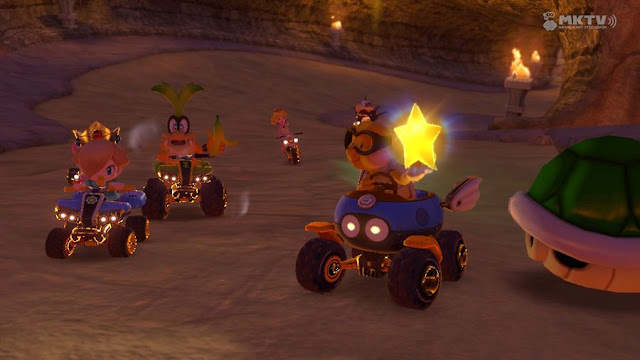 However, the true fun came from having up to four friends in the same room assist one another through the obstacle and enemy-laden courses that Super Mario 3D World was positively packed with. 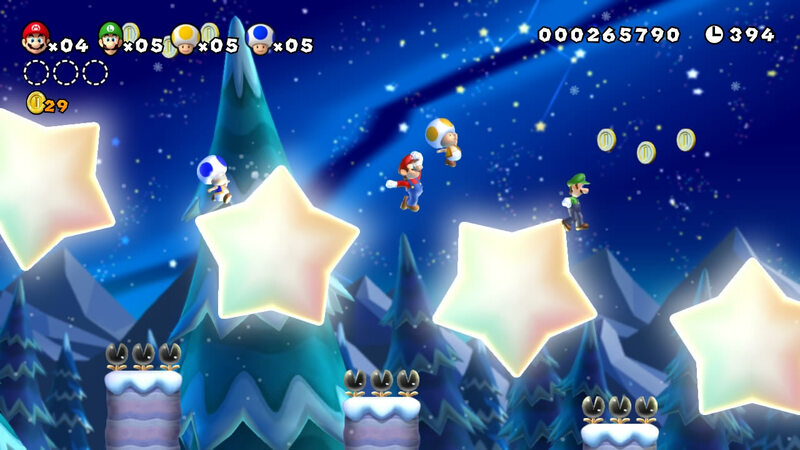 The level design of Super Mario 3D World featured a start and goal, much like the 2D series of Super Mario games and Super Mario 3D Land on the Nintendo 3DS. The game remains one of the best gameplay experiences on the Wii U, and it's an absolute blast with multiple players, showing that not only Super Mario 3D World is aces alone, but also aces with friends. Another launch title for the Wii U, but this one better exuded the promise and potential of the Wii U GamePad and the system itself that unfortunately was left unfulfilled. Nintendo Land brought asymmetrical gameplay to the forefront, having a multitude of multiplayer attractions based on various Nintendo IP, such as Mario, The Legend of Zelda, and Metroid, for starters. Having one player use the GamePad screen while other players used Wii Remotes and a television screen meant that players could take on different roles with the gameplay. 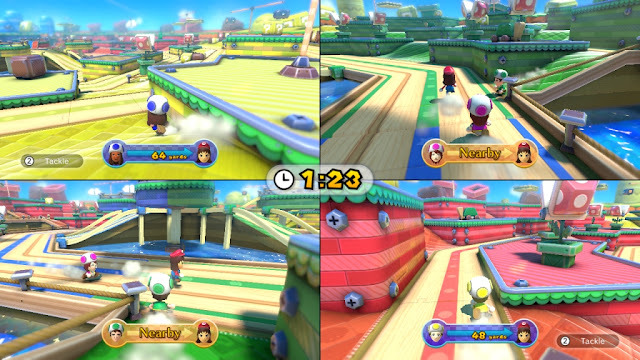 For instance, in Mario Chase, players with Wii Remotes pursued the GamePad player, who had the luxury of their own screen as well as a map to determine the best route to escape his or her pursuers. 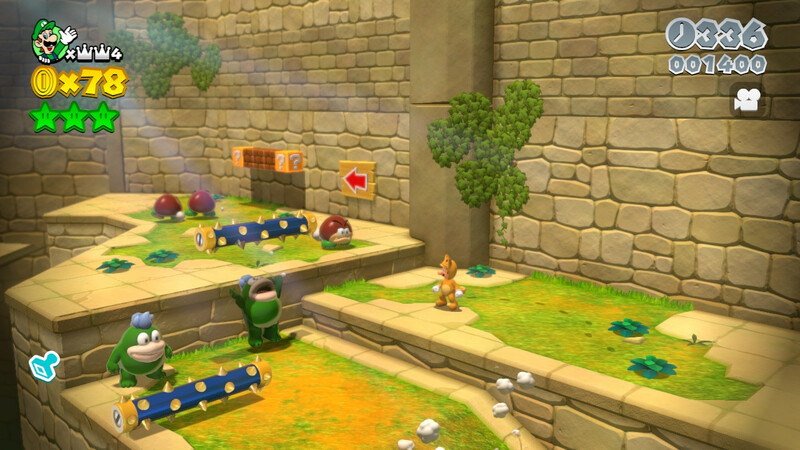 The promise of asymmetrical gameplay might not have been expanded as much in later years with the Wii U, but for a moment, Nintendo Land gave a somewhat bright future for this type of gameplay. Many of us ate crow when Splatoon, Nintendo's new franchise for the Wii U, sold amazingly and became an immediate hit on the system. Many thought the game would be DOA since it was a new IP on a failing system. 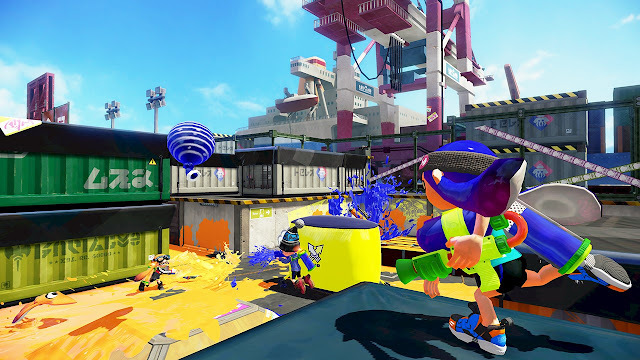 However, Splatoon is one of the big success stories on the Wii U, and that is thanks in part to its astonishingly funky and (to borrow a word from the actual game) fresh gameplay mechanics. Shooting paint at the floors and walls of maps meant your squid kid could swim through the paint, reaching new areas of the map that would otherwise be inaccessible to them. 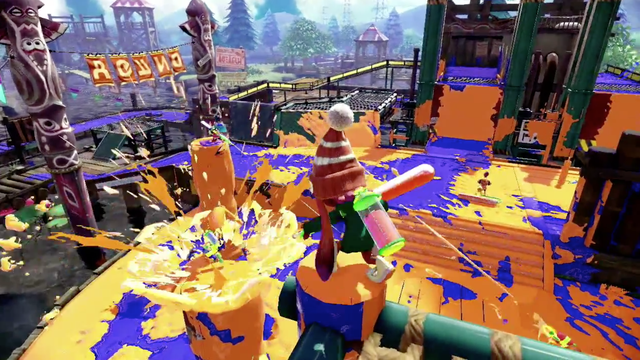 The goal of covering the most map with your team's paint is a highly original concept that quickly made Splatoon stand out with the other third-person shooting competition. Splatoon is one of the only games on this list whose multiplayer is best experienced online. While the Splatfest competitions are officially over, Splatoon is still very much worth hopping online and playing, as the player base is as strong as ever. What I consider the best and most complete Mario Kart package yet, Mario Kart 8 was a great game already with its standard 32 tracks, 16 new and 16 remixed from past Mario Kart games. Then, two DLC packages released, containing 8 courses each. Now, Mario Kart 8 is packed with tracks that added to the game's already massive amount of entertaining gameplay. 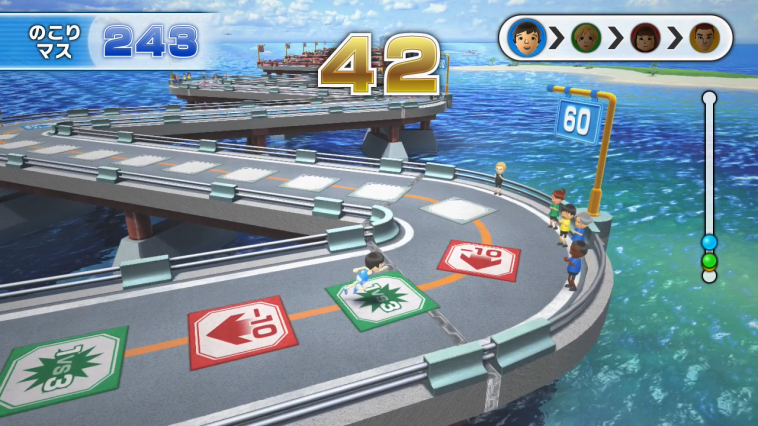 The tracks themselves feature some of the best design the series has ever seen, and this is thanks in part to the F-Zero-like twists and turns that the anti-gravity mechanic of tracks have incorporated. 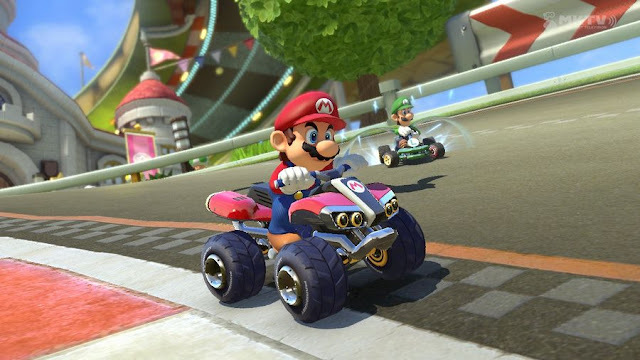 Even the retro tracks from past Mario Kart games have been remixed with anti-gravity portions, making them wild rides from beginning to end. Up to four players locally can engage in Grand Prix races, VS. mode, or Battle mode. Up to 12 players can race online with lag-free racing goodness. Mario Kart 8 remains a fixture in many a Wii U players' rotation, and it's amazingly easy to see why. The all-star brawl is on, even two years after its initial release. Masahiro Sakurai and the rest of the team behind Super Smash Bros. for Wii U continued a fine and constant stream of quality content to players, whether it was new characters, stages, Mii costumes, or modes. The game itself can be played as both a party fighter (where I find it is the most fun with up to eight friends in a specific mode, while up to four players elsewhere) and a competitive fighter, as seen at EVO and other events. The roster of characters allows players to pick the Nintendo or third-party all-star that best suits their play style, or if you're like me, you just play as everyone as you're a casual player. Super Smash Bros. for Wii U has a plethora of modes to choose from, and the gameplay is so engaging that many players will be seeing themselves keeping the game close by to play for years to come. It's all these reasons why SuperPhillip Central has selected Super Smash Bros. for Wii U as the top multiplayer game for the Wii U. Another Monday means another edition of SuperPhillip Central's Favorite VGMs! This week the VGMs bring some retro goodness into your lives and your ears! We start off fast and loose with a song from Sonic Advance 2. Continuing with the sequel idea, we then jump into Shenmue 2. Streets of Rage follows with its well known boss theme, and then we go into a puzzle mood with Tetris Attack. Finally, Mega Man 5 wraps things up with a song from the Complete Works version. Just click on the VGM volume name to hear its song. And as always, check out the VGM Database for all past VGM volumes featured. Now, let's get onto the music! 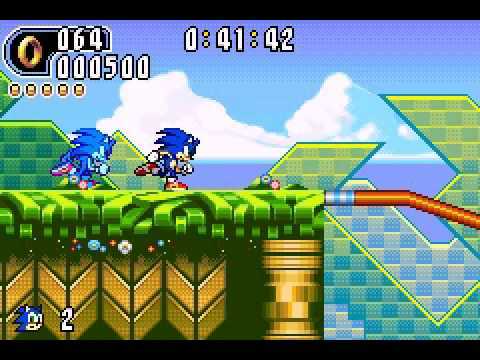 The first level of Sonic Advance 2 takes Sonic and the gang to the Leaf Forest Zone, an engaging first zone in the game full of places to speed through with wild abandon. Despite the Game Boy Advance's sound chip being relatively weak, composers did their best to produce good music and sound regardless, as heard with this song. 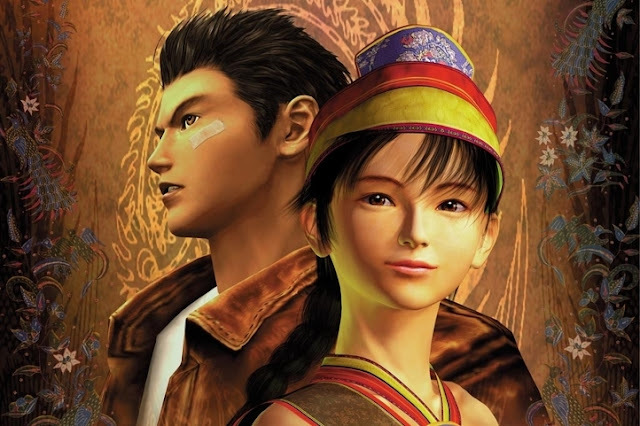 With the upcoming Shenmue 3, it seems like an opportune time to bring up one of the two other Shenmue games. However, rather than go for the obvious pick with the revolutionary and more well known Dreamcast Shenmue, I'm going with the Xbox sequel. While the track name isn't official by any stretch of the imagination, what is genuine here is just how good this battle theme sounds. We continue our Sega theme for one more VGM with the boss theme of the excellent beat-em-up Streets of Rage for the Sega Genesis. Yuzo Koshiro shows his brilliance with a catchy theme that makes for great background music to beating up the bigger threats that Streets of Rage possesses enemy-wise. Developed by Intelligent Systems, Tetris Attack is the western version of the Super Famicom's Panel de Pon. 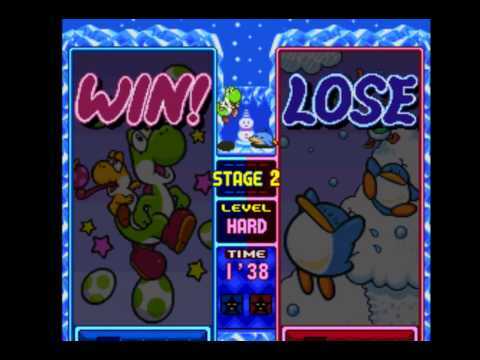 Instead of original characters like the Japanese version had, Tetris Attack used a Yoshi's Island theme with it. Tetris Attack remains one of my favorite falling block puzzle games for any platform. It's addicting, easy to learn, but tough to master. Various Mega Man games got a second life on the PlayStation with a Complete Works version. This brought the NES classics to Sony's system with new remixed songs. 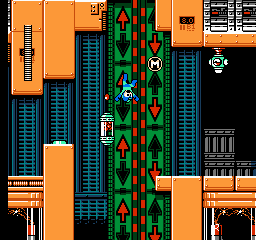 The example here is for Mega Man 5's Gravity Man stage. Whether you prefer the beeps and boops of the original NES soundtrack or these new renditions on the PS1, you're getting some wonderfully infectious music regardless. A new review has appeared! It's for a game that I really enjoyed on the PlayStation Vita, and now it has a second life on the PlayStation 4. (Though it received the same amount of popularity-- read: little-to-no popularity). 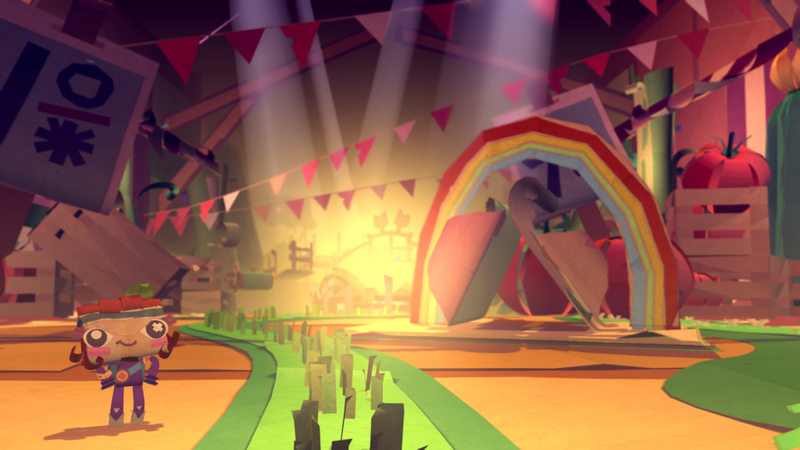 It's Tearaway: Unfolded, and this review should get you into the fold on how good this game is. The original Tearaway is one of my favorite PlayStation Vita exclusives. It not only was a charming adventure from the makers of LittleBigPlanet, but it used the majority of the PlayStation Vita's hardware features to great effect. However, the originality and large quality of Tearaway didn't transition into big sales for the game. 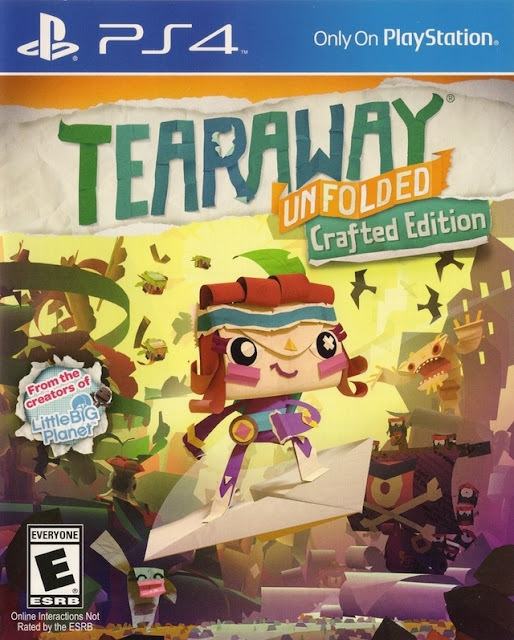 Now, Tearaway gets a second chance at popularity with a re-imagined version for the PlayStation 4, Tearaway: Unfolded. 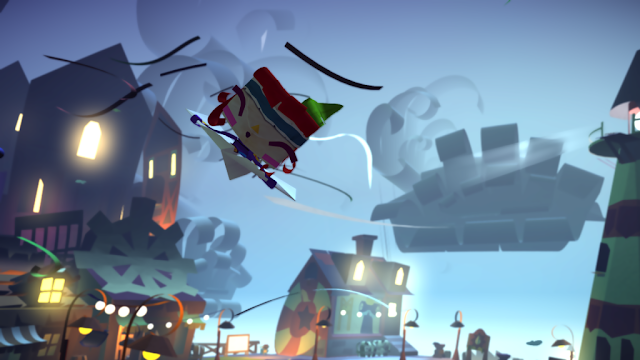 An old game gets some new tricks with this delightful return to the world of Tearaway. You control one of two messengers tasked with trekking through a colorful and imaginative world to deliver a message to the You, an all powerful being that is literally you. You see, Tearaway: Unfolded casts you in a co-starring role alongside either Atoi or Iota, and the game casts no aspersions to make that clear. 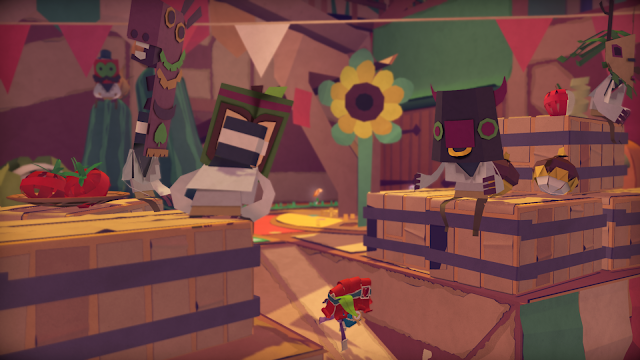 Tearaway: Unfolded is very much a fourth wall-breaking experience, and that is simply part of its charm. Play as either the female messenger Atoi (as seen here) or the male messenger Iota. 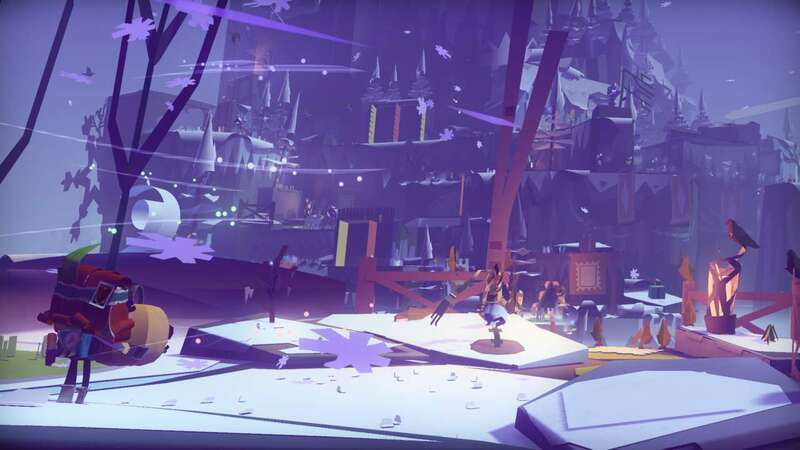 Tearaway: Unfolded consists of sixteen main levels spread out across three different story scenarios. At the beginning of your journey, your messenger has a limited move set. He or she can't even jump until a couple of levels into the game. As you and your messenger proceed through the world of Tearaway, you as the overseer of the world gain new ways to interact with said world via the Dualshock 4 controller. While Iota would love to stay for the party, he has an urgent message to deliver. For instance, in dark areas you can hold down the L2 or R2 button to summon a ray of light to not only interact with different objects in levels, but you can use it to confuse the enemies of the game, the Scraps, into running off the level, defeating them in the process. You can also stroke the touch pad of the Dualshock 4 to summon a gust of wind in the direction that you stroke. This can be used to interact with that environment, such as blowing a hollow log over to your messenger for them to cross over an otherwise impossible-to-cross chasm. Meanwhile, tapping the touch pad results in certain materials in the game world to send whatever sits on them to launch into the air. Stroke the touch pad to give flight to your messenger as he or she rides a paper airplane through the skies. Because of the differences in how you're able to interact with the world between the Vita game and this new PlayStation 4 re-imagining, many of the levels feature brand-new designs, alterations, and collectable locations. Thus, if you're already played the original Tearaway like I had, you'll find that this PS4 edition feels like a greatly new experience. Speaking of collectables, while Tearaway: Unfolded is a pretty lengthy game as it is, the longevity of the game comes from finding and collecting all of the hidden goodies the game possesses. Like the original Vita Tearaway, each level contains hidden presents that contain confetti that is used to purchase new shapes to customize your messenger with and different visuals effects for your camera, as well as colorless papercraft shapes that when a photo is taken of them, they regain their color and add that piece of papercraft to your collection. There are also extra things to do per level outside of the typical goals. A lot of these essentially have you create shapes and designs via "drawing" them with the touch pad-- such an example is an early one where you are required to design a crown for the king of the squirrels. Sure, you can cheat and draw anything you want basically (yes, even to get your X-rated jollies with), but it was more engaging to me to see my creations appear in the game world. Designing a flame pattern for all the game's torches or drawing a snowflake design to shower down dozens of my own design from the skies of Gibbet Hill was a very cool experience for me. What seems like the initial end of your messenger's adventure in Gibbet Hill is really only the beginning of the fun. Each level tracks how many confetti you've collected, hidden presents opened, extra things to do completed, papercraft uncovered, and for the levels that feature them, Scraps defeated. Getting 100% completion in Tearaway: Unfolded is a mighty challenge, as things are very well hidden, and yes, it can become maddening trying to track down those final confetti you need in a given level. Though not a requirement, you can use the PlayStation Eye camera to put yourself into the game. It can also become maddening because going back to previous levels to collect stuff can be mighty annoying. This is in part due to most scenes within Unfolded being impossible to skip, making repeated play-throughs of a given level torturous. Furthermore, several of the extra things to do in levels require you to carry what the game calls a "Misplaced Gopher" from its starting location to its home. If your messenger loses its stamp (done by getting hit too many times or falling into the abyss), then the Gopher returns to its starting point. The problem here is that there is no way in-game to start the level over from the Misplaced Gopher's location. You have to either restart the level from the beginning or hope your last checkpoint is around that Gopher's starting spot. This is a tremendous inconvenience that the requirement to sit through most story sequences only further agonizing. Still, if you're just wanting to beat the game, then Tearaway: Unfolded is nowhere near as annoying. Sure, you might die (i.e. lose your messenger's stamp) a bunch, but "death" is not a harsh penalty at all. You simply are revived at a nearby location. Simply playing the game normally without collecting stuff isn't completely without its annoyances, as the camera isn't the greatest, and it can actually result in your messenger losing its stamp due to a poor angle somewhat more regularly than you'd probably wish. The world of Tearaway: Unfolded is unquestionably charming and endearing. 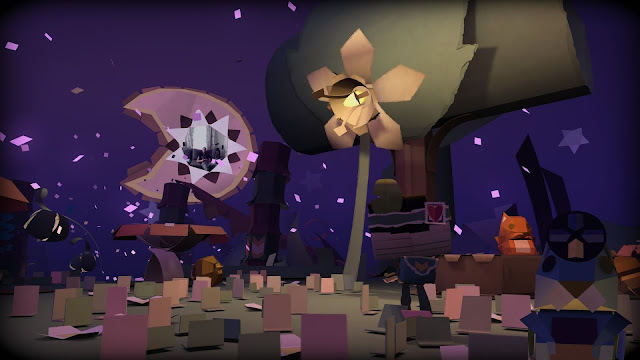 Tearaway: Unfolded's world is entirely made of paper, and the power of the PlayStation 4 enhances the game's world considerably compared to the Vita version, which already looked superb. Little touches when interacting with the environments of levels are quite astounding, and the quality of the visuals is very high. The frame-rate is pretty consistent as well, only sometimes offering slowdown here and there. Meanwhile, the sound is also well done, featuring voice acting for the two essential narrators of the game, while every other character speaks in gibberish. The music is delightful, delivering something of great quality for the player. Despite its faults like its occasionally bothersome camera, Misplaced Gopher missions, and the inability to skip most story sequences, Tearaway: Unfolded is very much worth playing, especially if you didn't play the original on the PlayStation Vita (which was obviously A LOT of people). 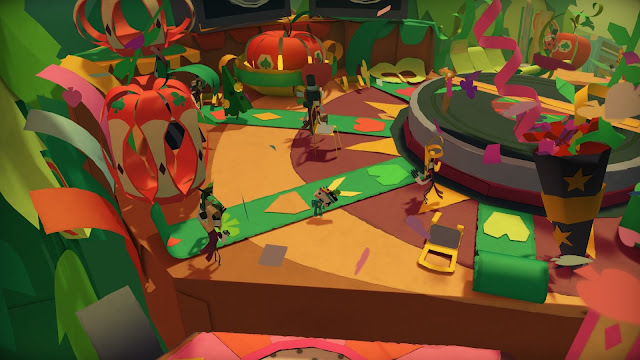 Containing the same level of charm and quality as Media Molecule's other well known franchise, LittleBigPlanet, Tearaway: Unfolded's world may be paper thin, but the actual game is thick with fun.